A Cambridgeshire business advisory firm has made four senior promotions to support the business’ ambitious growth plans. 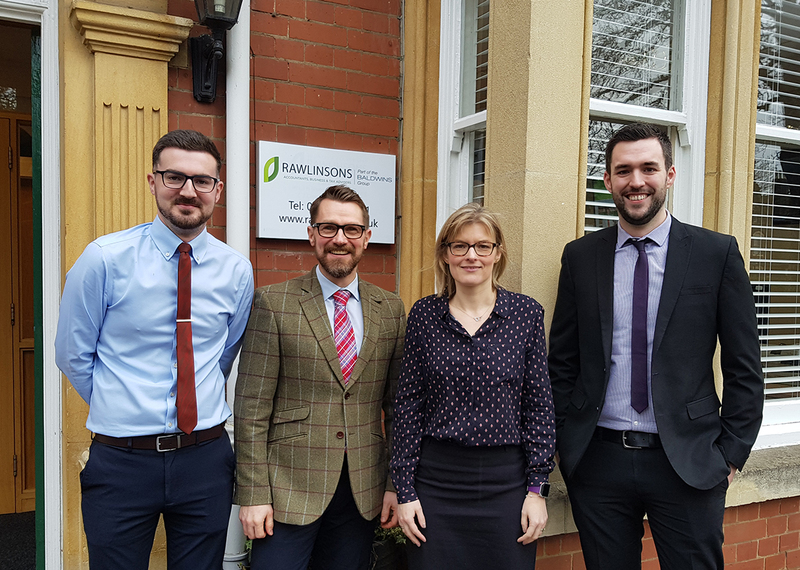 Rawlinsons, part of the Baldwins Group, has promoted Marie Craig, Matt Holmes, Richard Monkhouse and Craig Tolliday to the role of associate director. Marie joined Rawlinsons as a trainee in 2002 and works with a large portfolio of clients ranging from small owner managed businesses to large group companies, specialising in the health care sector. Matt joined the Peterborough office on Lincoln Road as a trainee accountant in 2010 and now manages Baldwins’ Cambridge office on Bar Road, Lolworth. He works closely with a broad range of owner-managed businesses, charities and academies. Richard has worked as a senior audit manager at Rawlinsons since 2014, leading teams on a range of external audits for charities, academy schools, owner managed companies and large UK groups. Craig moved to Rawlinsons in 2014 as a tax manager, during which time he has had responsibility for a portfolio with a wide variety of personal and corporate clients, including high net worth individuals and large corporate structures. Colin Crowley, Partner at Rawlinsons in Peterborough, commented: “We congratulate Marie, Matt, Richard and Craig on their promotions which are a well-deserved recognition of their hard work at Rawlinsons. Rawlinsons joined Baldwins, one of the UK’s fastest growing business advisory firms, in March 2018.